Moral Disengagement: How People Do Harm and Live with Themselves, by Albert Bandura, reviewed. 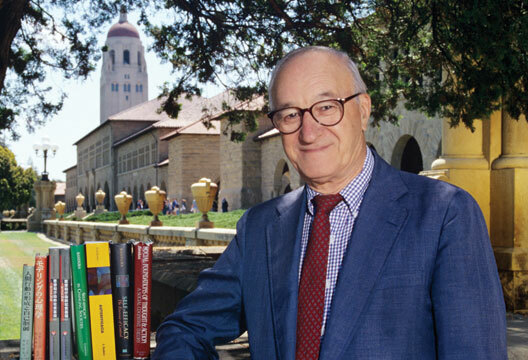 Albert Bandura needs no introduction. A leading figure in modern psychology, the founder of social cognitive theory is a permanent fixture on most, if not all, developmental and social psychology teaching syllabuses. In his latest book, Moral Disengagement: How People Do Harm and Live with Themselves, Bandura examines the psychological processes underpinning how and why individuals are able to selectively distance themselves from their harmful conduct. In contrast to traditional psychological accounts of morality that focus solely on the individual decision-making, Bandura focuses on understanding the social systems wherein large scale inhumane and immoral acts occur. Each chapter in the book examines a different contemporary – and highly controversial – social issue; including violent media, the gun industry, irresponsible financial actions of corporations, capital punishment, terrorism and environmental sustainability. Bandura outlines the morally dubious practices conducted by individuals and institutions at the heart of these issues and then employs agentic theory to explain how they are able to ‘disengage’ from their actions in order to maintain and preserve self-image. For example, in the chapter examining capital punishment, Bandura explains how moral disengagement is needed at every stage of the judicial process – from policy makers to jurors to executioners – in order for the systemic decision to be made to take human life. As a psychologist interested in media effects, the most interesting chapter to me personally was that centred on the entertainment industry and media violence. In this chapter, Bandura revisits some of his most famous work demonstrating the propensity of children to imitate violent behaviour (i.e. the Bobo Doll study). However, the focus in this chapter is not on the research itself, but the challenges faced by Bandura and his colleagues when trying to make policy makers acknowledge their findings. Here, Bandura draws on a range of psychological theories to explain the reluctance of government and the entertainment industry to take notice of research findings (that violent media may play some role in shaping violent behaviour) and change policy accordingly. With research impact high on the agenda of most academics, the chapter serves as cautionary tale of how difficult it can be to turn knowledge into practice – especially where there may be financial incentives for maintaining the morally dubious status quo. The fresh and enlightened perspective that Bandura offers to understanding social morality engages the reader from start to finish, appealing to a diverse and wide-ranging audience. The book would also be a useful teaching aid due to its focus on real-world topical issues (encompassing everything from the terrorist attacks of 9/11 to the financial crash of 2007) that may assist student comprehension of the more complex social psychological theories underpinning moral disengagement. Moreover, the book is persuasively written and there can be little doubt about which side of the social and political debate Bandura stands on. One cannot help but wonder: If psychology can be used to understand these controversial moral and social issues – can it be used to overcome them and create a more humane society? - See also Bandura's article in this edition, and much more in our archive, including an exclusive extract from the book.